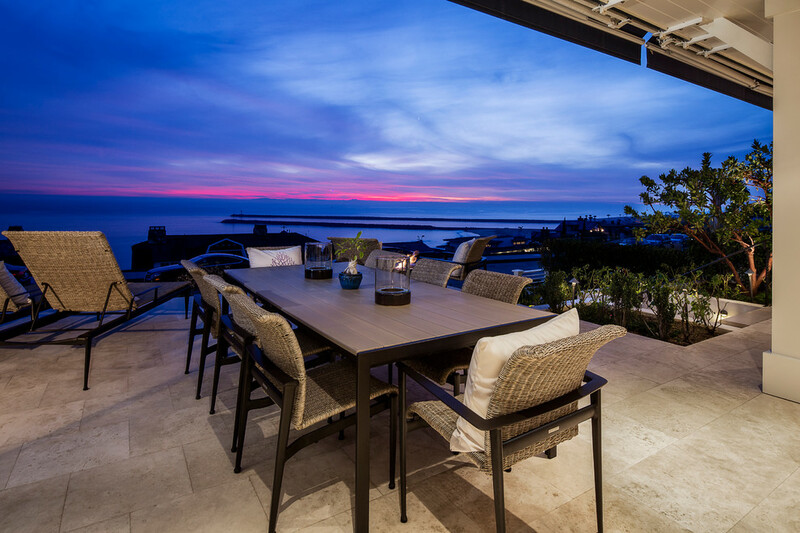 We lovingly call this project "Aristocratic meets Modern Beach House". It has a British Colonial style exterior and at the owners request, an interior that is a mix aristocratic glamour, rich colors, all the modern luxuries of today and a hint of contemporary design. The bones of the house stay true to its British Colonial style with white walls and dark wood accents updated for today’s living but the furnishings are where we got to have some fun. We designed custom cabinets throughout the house and used bright hits of color in the furnishings. Fine finishes with touches of true luxury were added like an early 20th Century French Neo-Classic crystal & bronze chandelier in the dining room and a multi-pendent crystal chandelier in the three story stairwell. You know you are in for something unique the moment you reach the entry stairs with their colorful zig zag step tiles that play off of the blue trim of the house. 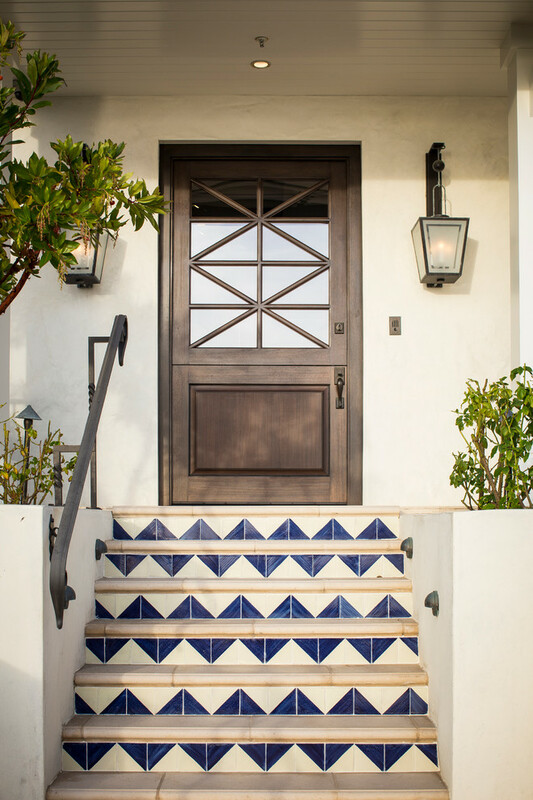 There’s also a custom Dutch door flanked by a pair of over-sized wall lanterns. 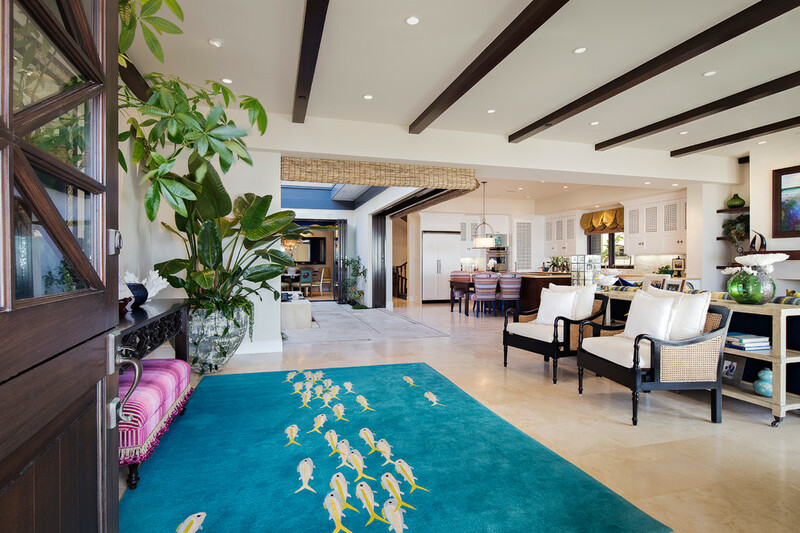 You are greeted at the front door by a school of friendly fish on the custom area rug that lead the way into the open plan home. You are greeted at the front door by a school of friendly fish on the area rug that lead the way into the open plan home.